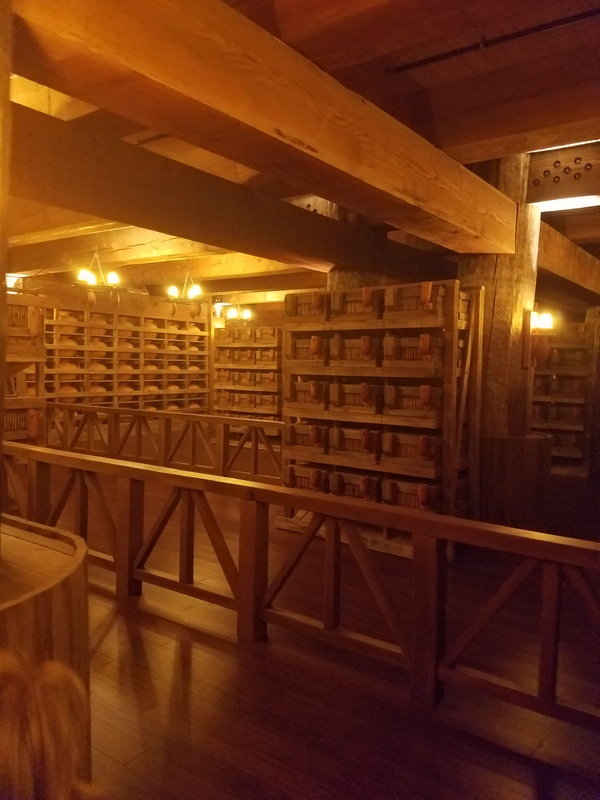 I’ve been looking forward to visiting the Ark Encounter for… well, pretty much since I first heard about it. Meanwhile, atheists and other misotheists have been maligning it and trying to sink it ever since they heard about it. 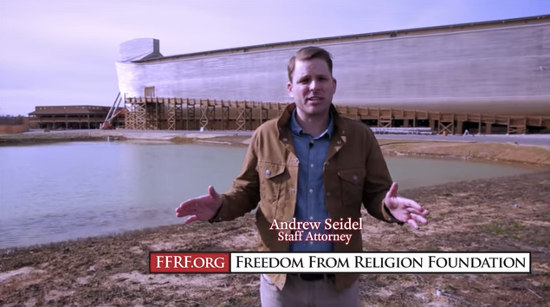 Most recently, Andrew Seidel, an attorney for the Freedom From Religion Foundation, used some footage from a trip he made to the site in February as a commercial for the FFRF. He chose FEBRUARY! People go to Disneyland in February to avoid the crowds. I have to wonder: did he go on the weekend nearest St. Valentine’s Day to really minimize his chance of seeing a representative crowd? When you drive into the Ark Encounter parking lot the first thing you notice is, well, the Ark! I mean, it’s huge! Even at a distance. After we got our tickets, we boarded our shuttle without any hassle and arrived at the Ark itself. I will be honest. You just find yourself in continual awe with the size of the Ark. 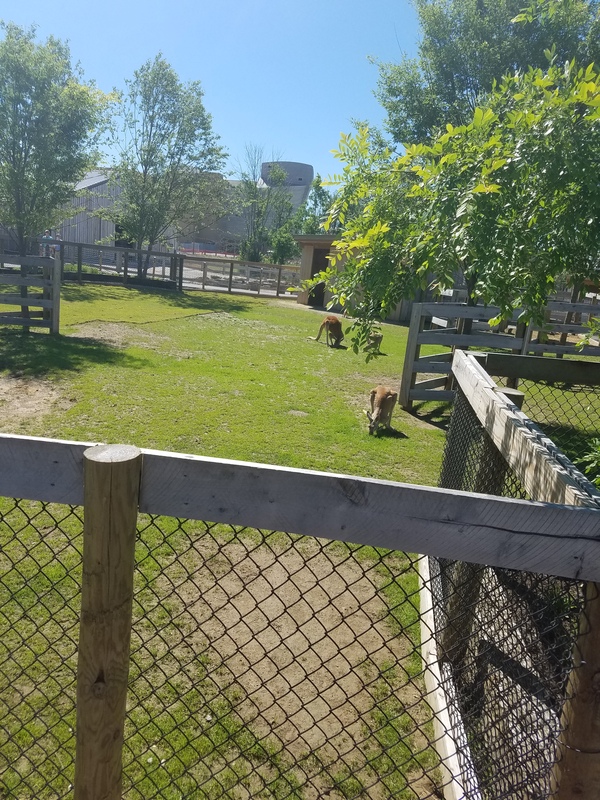 We arrived close to lunch time, so we opted to check out the Ararat Zoo first and save the Ark itself for after lunch, with the misguided hope that we could hit it when the crowds thinned out. 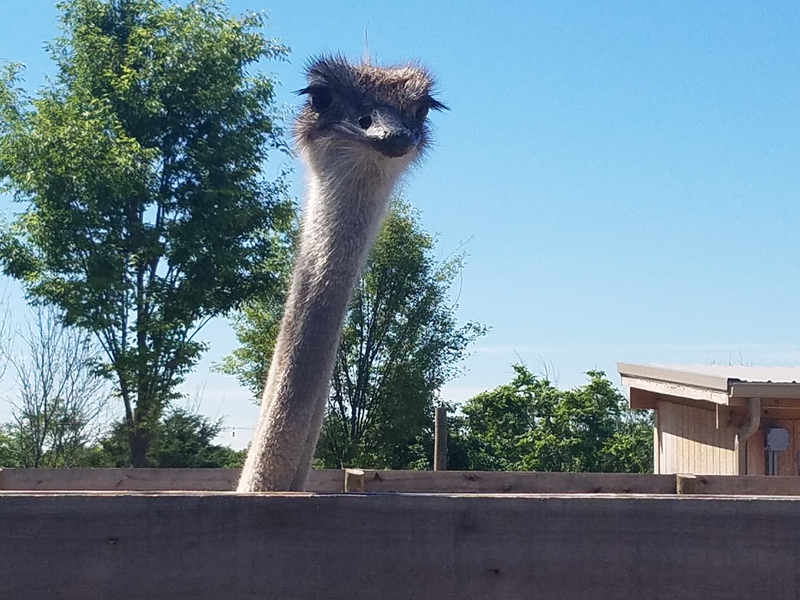 The Ararat Zoo has llamas, kangaroos, alpacas, goats, emus, ostriches and more. 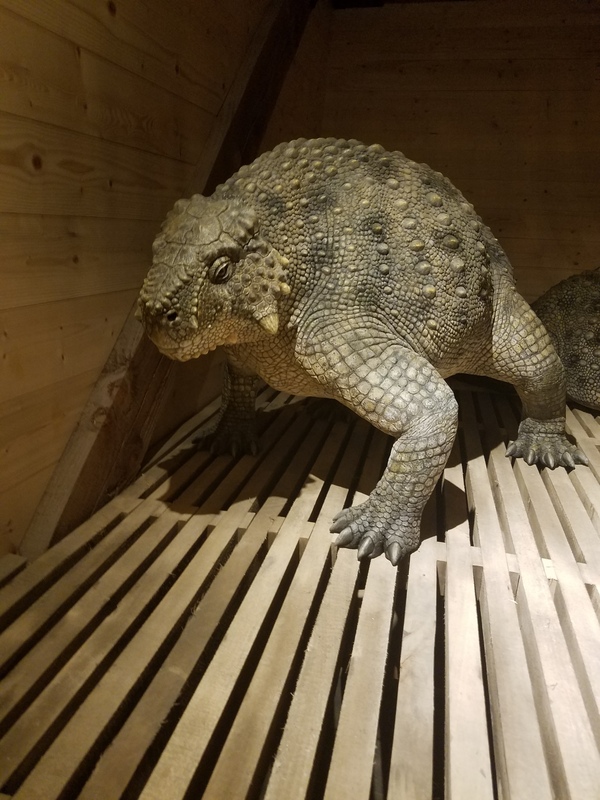 It’s not as big as I hoped (I just read that they are planning to make it bigger soon) and I was disappointed that it wasn’t more like the one at the Creation Museum, but it was very cool nonetheless. It certainly made you wonder if Noah had a zoo of sorts outside the Ark, at least in the final stages of preparation. Two of our kids chose to ride a camel and a donkey, respectively, which they enjoyed very much. We were hungry by the time We left the zoo area, so we went to Emzara’s Kitchen. The food was decent (my oldest raved about the pizza) and our view from the outside second-story porch was beautiful. We didn’t eat inside because it was very crowded and it was too nice outside to waste the opportunity, but I should mention that there are animal displays inside. 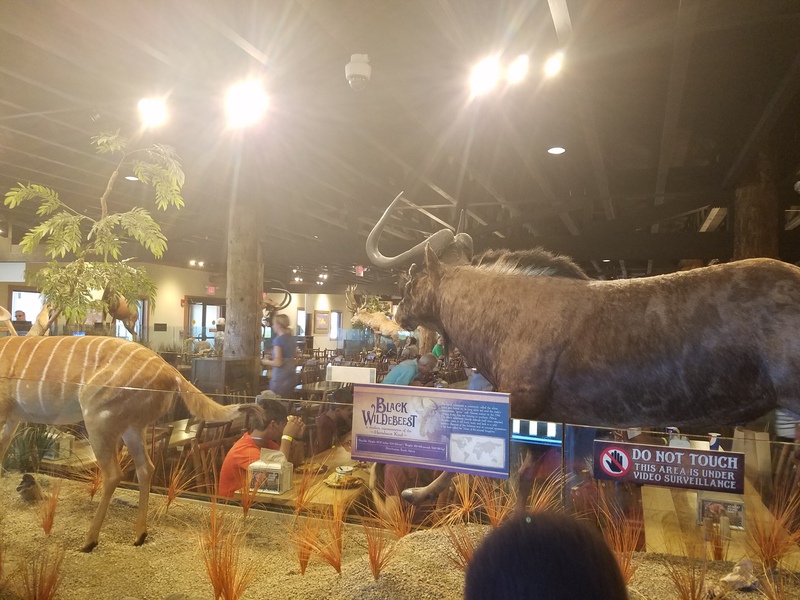 It’s a bit like eating at Cabela’s outdoor sporting store. At last, we decided to take on the Ark itself. 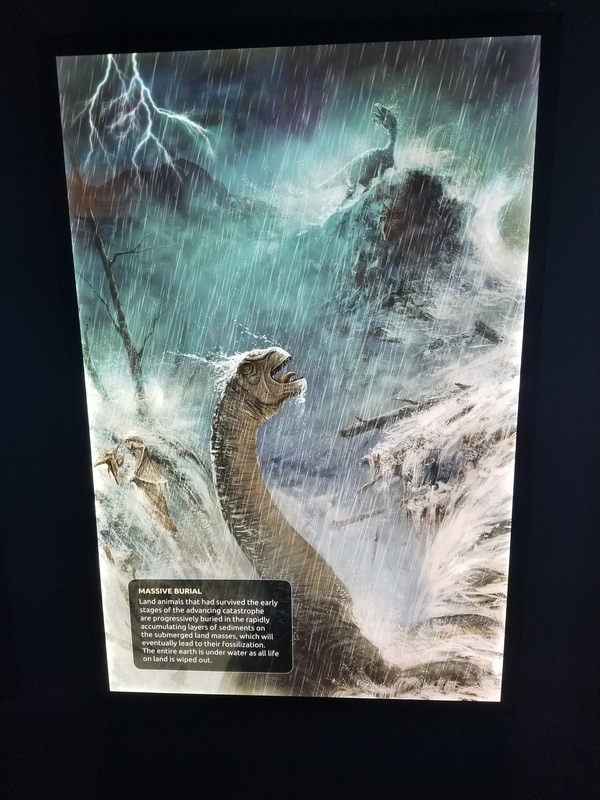 Entering the Ark itself is awesome because there are sound effects of rain and thunder. You board rather quickly as if you’re racing the Flood itself. The first floor continues to build the ambience. 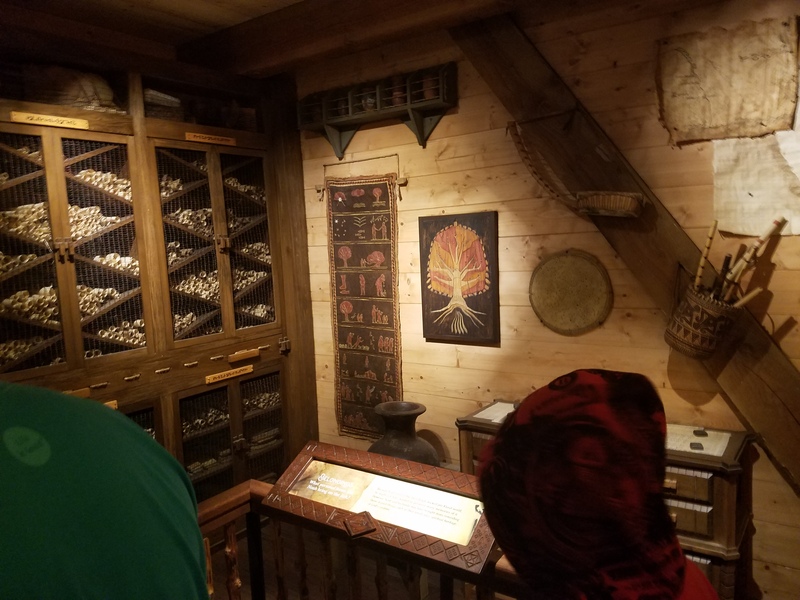 There were animal cages that make noise as you approach and lots of storage materials to look at. 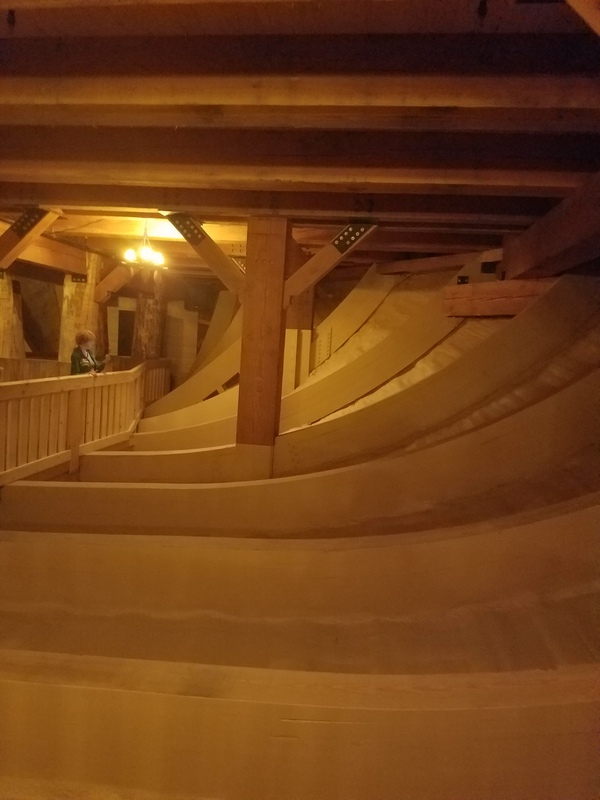 I took a moment to check out the stern of the vessel, which is a construction marvel unto itself. My only complaint is that there weren’t more signs to let you know what was going on. In due course, we came to an area dealing with dinosaurs. 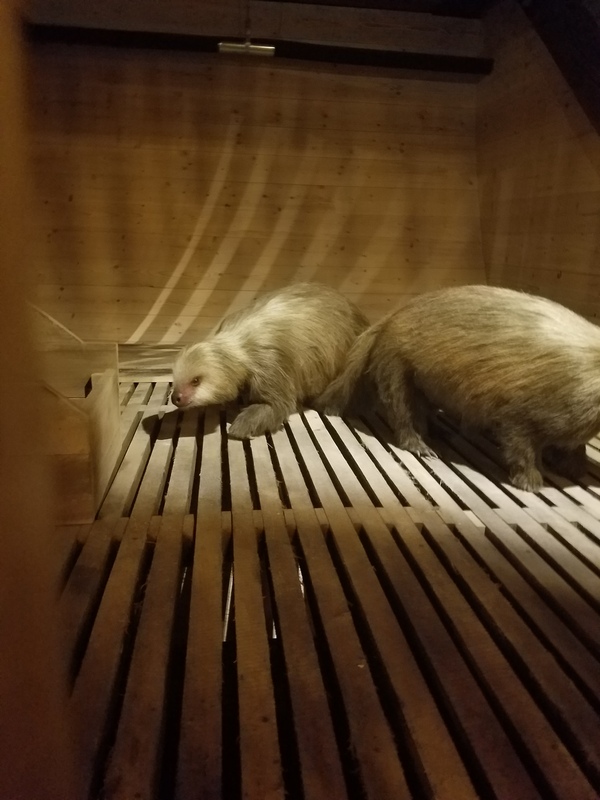 There are cages around the room with various animals. A completely unexpected wonder came from our first view up through the levels of the Ark. Now it is not my intention to give you a play-by-play of our tour. I do want to point a few things out. Firstly, the artwork is exquisite. Whether we are talking about the dioramas, paintings or wood carvings, the art was absolutely top-notch. 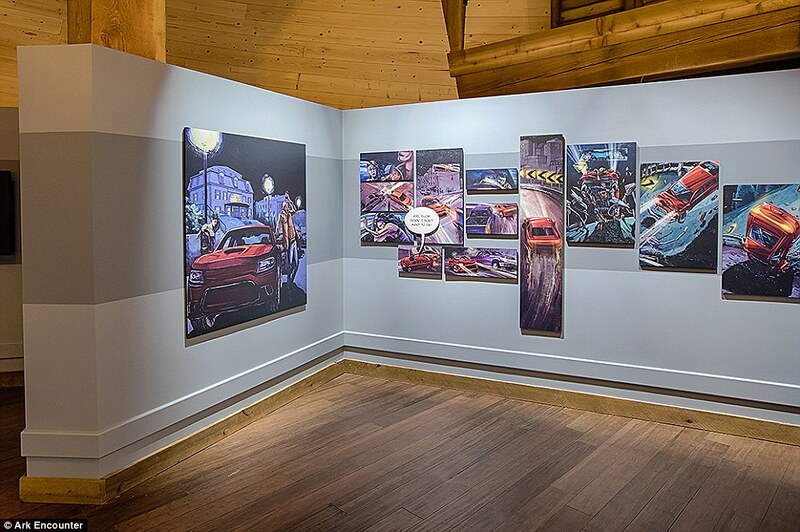 My favorite exhibit was the graphic novel styled “Why the Bible is True” section. The wide ambling path gave us a moment to really appreciate the art and the message. Secondly, it is definitely informative. 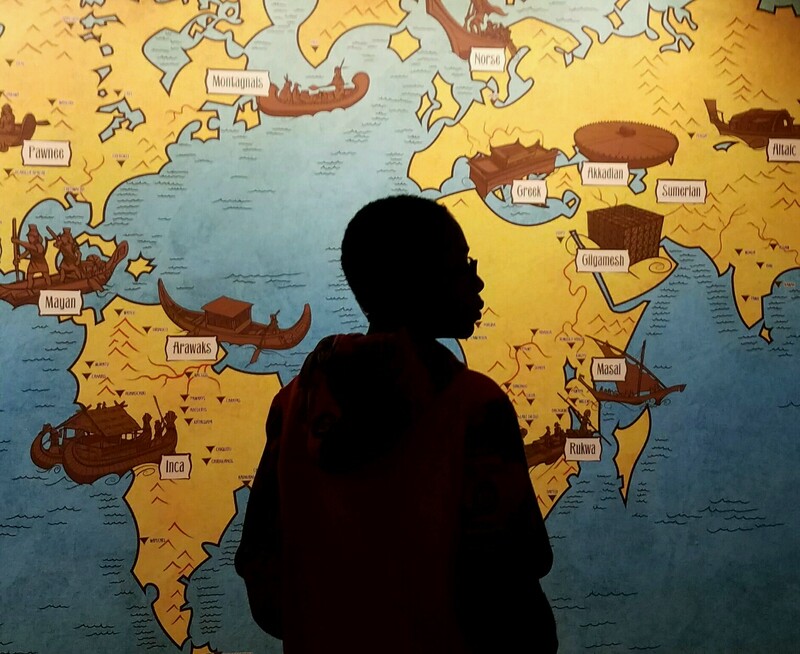 I was already largely schooled in the subject of Noah and the Flood, but the details here were things that made me re-think a few things. 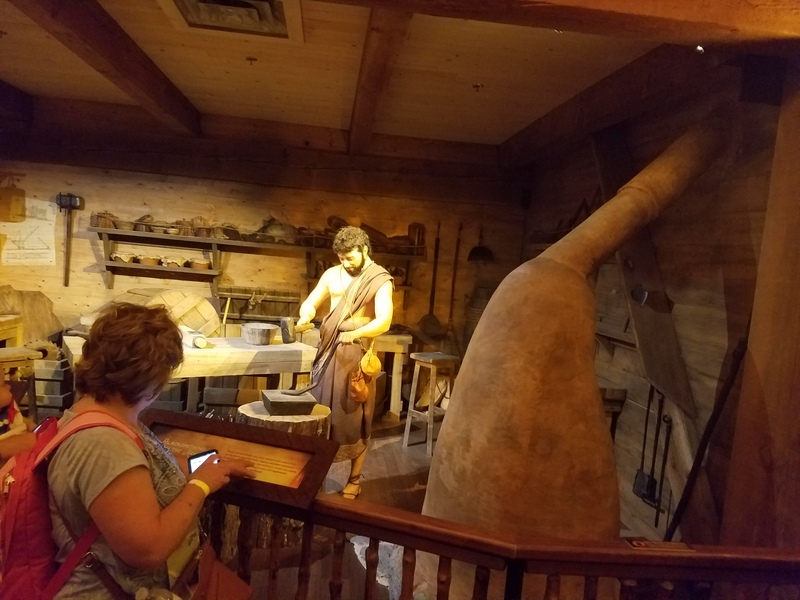 I do wish there were more hands-on interactive exhibits involved like the things they’ve incorporated into the Creation Museum. Lastly, it is crowded. There’s no getting around that fact. There were actually a few attractions that I wasn’t able to see at all because the lines were so long. 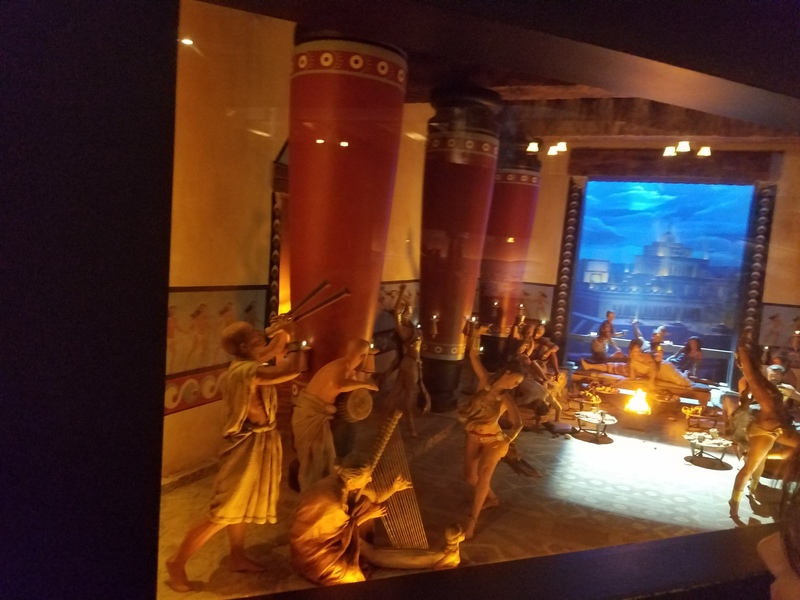 While I would like to see the Ark Encounter find ways to better control crowd flow like they have at the Creation Museun, I think we can safely say that the Freedom From Religion Foundation’s advertisement featuring an empty Ark Encounter is just propaganda. The film clips were shot on the off season rather than a more representative time of year. Anyone truly interested in science or truth would quickly realize that February is not a representative attendance month for any family attraction, yet folks like “Friendly Atheist” Hemant Mehta uncritically passed on Andrew Seidel’s attack video simply because its what they want to believe. Seidel also used areas that are not high traffic. On the day we went, there were about 4200 people. Yet except at lunch the outside of the Ark was sparsely populated. While a construction team is building the East and West Villages, there really isn’t a whole lot out there aside from Emzara’s Kitchen, the zip lines and the zoo (which is behind the Ark). Which means there’s no real reason to be out there where he was filming. Yet. Besides February is cold and people do not like to spend a lot of time outdoors during winter months! 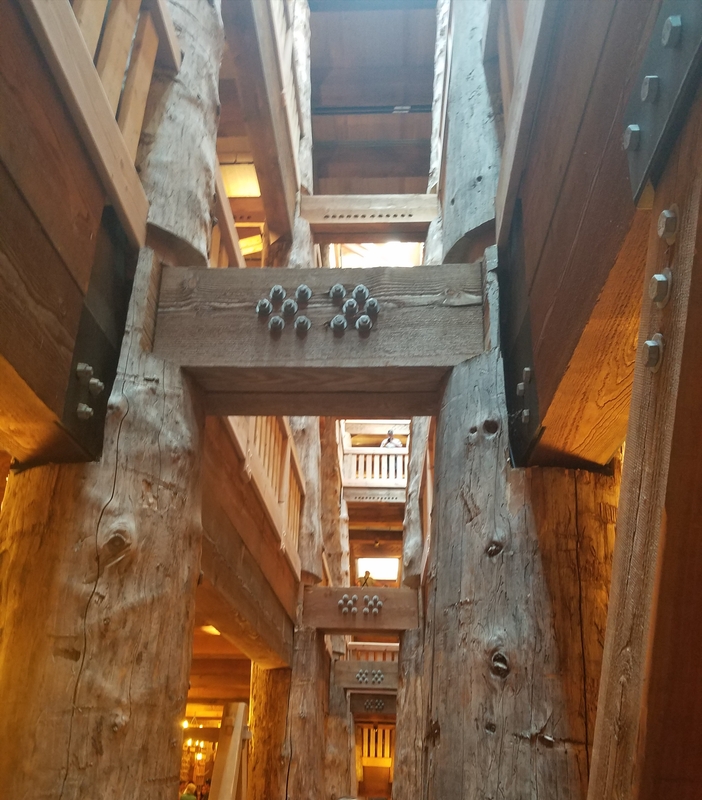 Likewise the internal walkways during my visit, the walkways were usually clear (and would certainly remain politely as such if folks saw you filming something); most folks were on one of the Ark’s three levels of exhibits. Of course, I imagine that too depends upon the day and time of day. 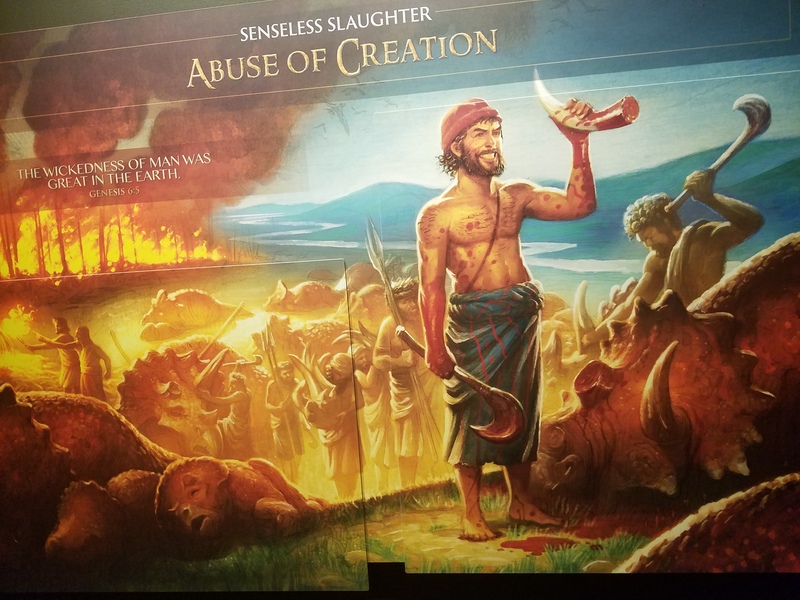 Another video the FFRF attorney shot showed the queues below the Ark. Those don’t get much use. Even on a day with 4200 people in attendance, we bypassed it. I have it on good word that the queue area is likely to be repurposed but it has nothing to do with poor attendance and everything to do with a better use of available space. Then again, depending upon the day and time of day, it apparently gets plenty of use… just not in February. In any case, my family had a decent time and I got a lot to think about. 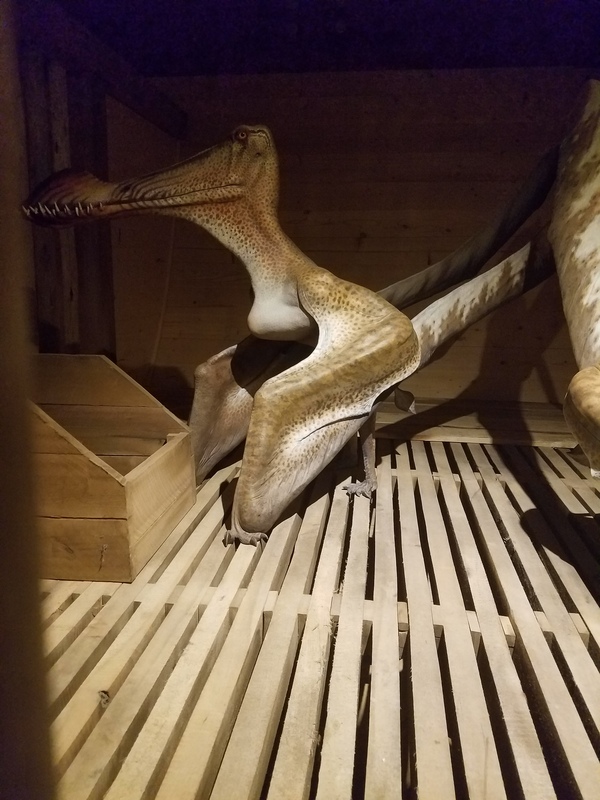 The Ark itself is amazing! 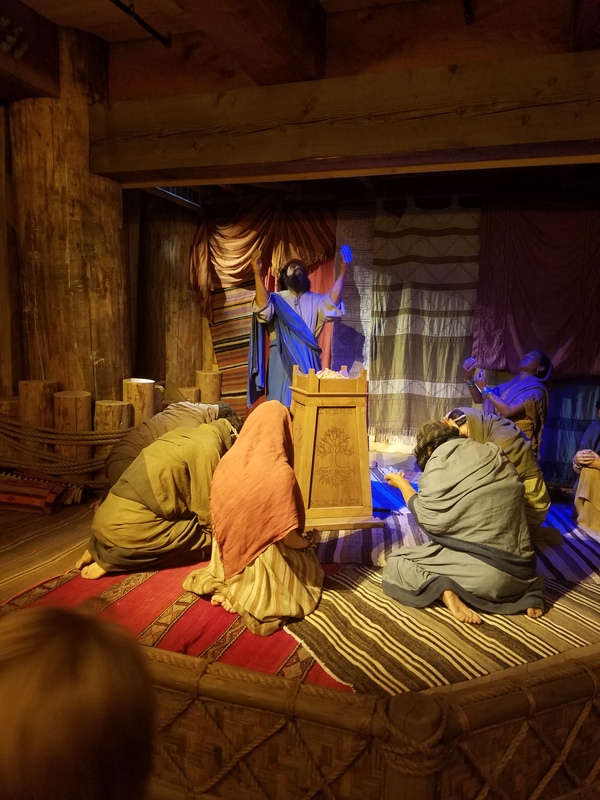 I would definitely recommend that you plan your own trip to the Ark Encounter, but be aware that there will likely be crowds unless you go during off-peak times. 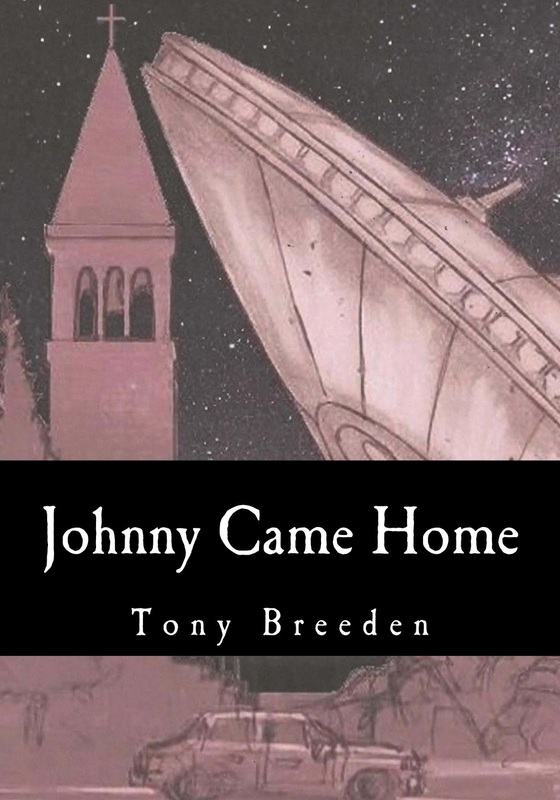 Previous Post Would Lovecraft-Inspired, Hibernating Digital Aliens Solve the Fermi Paradox?